The days of buying furniture for a specific use, like rocking a new baby, are gone. It just doesn't make sense in today's world of smaller spaces and versatile furniture to get rid of something after the baby's gotten older. That's why you can choose gorgeous, versatile pieces like this rocking chair and get way more bang for your buck. 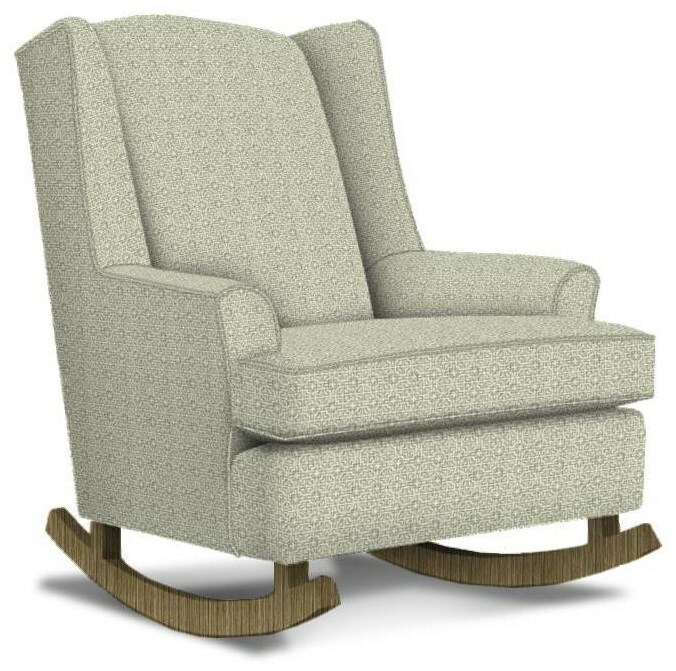 This classically styled yet cutting edge piece of furniture makes a great accent chair in any room with its nostalgic rocking motion and modest size. This attention-grabbing accent piece is sure to draw compliments from jealous friends and family. The Runner Rockers Willow Upholstered Rocking Chair with Wood Runners by Best Home Furnishings at Zak's Home in the Tri-Cities, Johnson City, Tennessee area. Product availability may vary. Contact us for the most current availability on this product. The Runner Rockers collection is a great option if you are looking for Transitional Contemporary furniture in the Tri-Cities, Johnson City, Tennessee area.